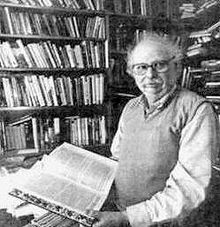 Here I will present three books by Israel Shahak each with one or two extensive quotes, to give an idea of the subject matter, though each book deals with several related topics. I consider the first book to be especially well written and informative. 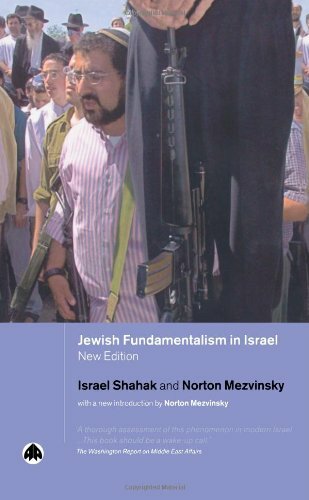 It deals with the influence of Orthodox Judaism on the Jewish state (and some of the negative aspects of Classical Judaism). The second deals more with strategic consideration, as they relate to foreign policy, mainly in the Middle East. The third deals with the way Jewish fundamentalism affects Israeli politics. I write here what I think is true, for the stories of the Greeks are numerous and in my opinion ridiculous. Amicus Plato sed magis amica veritas — Plato is a friend but truth is a greater friend. In a free state every man can think what he wants and say what he thinks. This book, although written in English and addressed to people living outside the State of Israel, is, in a way, a continuation of my political activities as an Israeli Jew. Those activities began in 1965-6 with a protest which caused a considerable scandal at the time: I had personally witnessed an ultra-religious Jew refuse to allow his phone to be used on the Sabbath in order to call an ambulance for a non-Jew who happened to have collapsed in his Jerusalem neighbourhood. Instead of simply publishing the incident in the press, I asked for a meeting with the members of the Rabbinical Court of Jerusalem, which is composed of rabbis nominated by the State of Israel. I asked them whether such behaviour was consistent with their interpretation of the Jewish religion. They answered that the Jew in question had behaved correctly, indeed piously, and backed their statement by referring me to a passage in an authoritative compendium of Talmudic laws, written in this century. I reported the incident to the main Hebrew daily, Ha’aretz, whose publication of the story caused a media scandal. The results of the scandal were, for me, rather negative. Neither the Israeli, nor the diaspora, rabbinical authorities ever reversed their ruling that a Jew should not violate the Sabbath in order to save the life of a Gentile. They added much sanctimonious twaddle to the effect that if the consequence of such an act puts Jews in danger, the violation of the Sabbath is permitted, for their sake. It became apparent to me, as drawing on knowledge acquired in my youth, I began to study the Talmudic laws governing the relations between Jews and non-Jews, that neither Zionism, including its seemingly secular part, nor Israeli politics since the inception of the State of Israel, nor particularly the policies of the Jewish supporters of Israel in the diaspora, could be understood unless the deeper influence of those laws, and the worldview which they both create and express is taken into account. The actual policies Israel pursued after the Six Day War, and in particular the apartheid character of the Israeli regime in the Occupied Territories and the attitude of the majority of Jews to the issue of the rights of the Palestinians, even in the abstract, have merely strengthened this conviction. By making this statement I am not trying to ignore the political or strategic considerations which may have also influenced the rulers of Israel. I am merely saying that actual politics is an interaction between realistic considerations (whether valid or mistaken, whether moral or immoral in my view) and ideological influences. The latter tend to be more influential the less they are discussed and ‘dragged into the light’. Any form of racism, discrimination and xenophobia becomes more potent and politically influential if it is taken for granted by the society which indulges in it. This is especially so if its discussion is prohibited, either formally or by tacit agreement. When racism, discrimination and xenophobia is prevalent among Jews, and directed against non-Jews, being fuelled by religious motivations, it is like its opposite case, that of antisemitism and its religious motivations. Today, however, while the second is being discussed, the very existence of the first is generally ignored, more outside Israel than within it. 1 Classical Jewish society has no peasants, and in this it differs profoundly from earlier Jewish societies in the two centres, Palestine and Mesopotamia. It is difficult for us, in modern times, to understand what this means. We have to make an effort to imagine what serfdom was like; the enormous difference in literacy, let alone education, between village and town throughout this period; the incomparably greater freedom enjoyed by all the small minority who were not peasants — in order to realise that during the whole of the classical period the Jews, in spite of all the persecutions to which they were subjected, formed an integral part of the privileged classes. Jewish historiography, especially in English, is misleading on this point inasmuch as it tends to focus on Jewish poverty and anti-Jewish discrimination. Both were real enough at times; but the poorest Jewish craftsman, pedlar, landlord’s steward or petty cleric was immeasurably better off than a serf. This was particularly true in those European countries where serfdom persisted into the 19th century, whether in a partial or extreme form: Prussia, Austria (including Hungary), Poland and the Polish lands taken by Russia. And it is not without significance that, prior to the beginning of the great Jewish migration of modern times (around 1880), a large majority of all Jews were living in those areas and that their most important social function there was to mediate the oppression of the peasants on behalf of the nobility and the Crown. Everywhere, classical Judaism developed hatred and contempt for agriculture as an occupation and for peasants as a class, even more than for other Gentiles — a hatred of which I know no parallel in other societies. This is immediately apparent to anyone who is familiar with the Yiddish or Hebrew literature of the 19th and 20th centuries. Most east-European Jewish socialists (that is, members of exclusively or predominantly Jewish parties and factions) are guilty of never pointing out this fact; indeed, many were themselves tainted with a ferocious anti-peasant attitude inherited from classical Judaism. Of course, zionist ‘socialists’ were the worst in this respect, but others, such as the Bund, were not much better. A typical example is their opposition to the formation of peasant co-operatives promoted by the Catholic clergy, on the ground that this was ‘an act of antisemitism’. This attitude is by no means dead even now; it could be seen very clearly in the racist views held by many Jewish ‘dissidents’ in the USSR regarding the Russian people, and also in the lack of discussion of this background by so many Jewish socialists, such as Isaac Deutscher. The whole racist propaganda on the theme of the supposed superiority of Jewish morality and intellect (in which many Jewish socialists were prominent) is bound up with a lack of sensitivity for the suffering of that major part of humanity who were especially oppressed during the last thousand years — the peasants. Nobel Prize winners Agnon and Bashevis Singer are examples of this, but many others can be given, particularly Bialik, the national Hebrew poet. In his famous poem My Father he describes his saintly father selling vodka to the drunkard peasants who are depicted as animals. This very popular poem, taught in all Israeli schools, is one of the vehicles through which the anti-peasant attitude is reproduced. Since the spring of 1992 public opinion in Israel is being prepared for the prospect of a war with Iran, to be fought to bring about Iran’s total military and political defeat. In one version, Israel would attack Iran alone, in another it would ‘persuade’ the West to do the job. The indoctrination campaign to this effect is gaining in intensity. It is accompanied by what could be called semi-official horror scenarios purporting to detail what Iran could do to Israel, the West and the entire world when it acquires nuclear weapons as it is expected to a few years hence. A manipulation of public opinion to this effect may well be considered too phantasmagoric to merit any detailed description. Still, the readers should take notice, especially since to all appearances the Israeli Security System does envisage the prospect seriously. 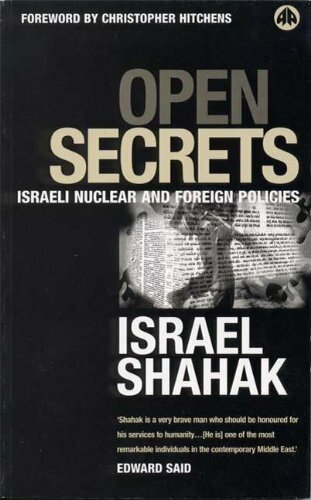 In February 1993 minutely-detailed anticipations of Iran becoming a major target of Israeli policies became intense. I am going to confine myself to a sample of recent publications (in view of the monotony of their contents it will suffice), emphasizing how they envisage the possibility of ‘persuading’ the West that Iran must be defeated. All Hebrew papers have shared in advocacy of this madness, with exception of Haaretz which has not dared to challenge it either. The Zionist ‘left’ papers, Davar and Al Hamishmar have particularly distinguished themselves in bellicosity on the subject of Iran; more so than the right-wing Maariv. Below, I will concentrate on the recent writings of Al Hamishmar and Maariv about Iran, only occasionally mentioning what I found in other papers. Anyone not converted to the Orientalistic creed will recognize that Iran is a country very difficult to conquer, because of its size, topography and especially because of fervent nationalism combined with the religious zeal of its populace. I happen to loathe the current Iranian regime, but it doesn’t hinder me from immediately noticing how different it is from Saddam Hussein’s. Popular support for Iran’s rulers is much greater than for Iraq’s. After Saddam Hussein had invaded Iran, his troops were resisted valiantly under extremely difficult conditions. All analogies between a possible attack on Iran and the Gulf War are therefore irresponsibly fanciful. Yet Sharon and the Israeli Army commanders did in 1979 propose to send a detachment of Israeli paratroopers to Tehran to quash the revolution and restore the monarchy. They really thought, until stopped by Begin, that a few Israeli paratroopers could determine the history of a country as immense and populous as Iran! According to a consensus of official Israeli experts on Iranian affairs, the fall of the Shah was due solely to his ‘softness’ in refraining to order his army to slaughter thousands of demonstrators wholesale. Later, the Israeli experts on Iranian affairs were no less unanimous in predicting a speedy defeat of Iran by Saddam Hussein. No evidence indicates that they have changed their assumptions or discarded their underlying racism. Their ranks may include some relatively less-opinionated individuals, who have survived the negative selection process which usually occurs within groups sharing such ideologically-tight imageries. But such individuals can be assumed to prefer to keep their moderation to themselves, while hoping that Israel can reap some fringe benefits from any western provocation against Iran, even if it results in a protracted and inconclusive war. The politically prodigious and financially unprecedented support which Israel has received from the United States since the early 1960s can be attributed to two factors. On the one hand, Israeli policies serve American interests, not only in the Middle East but all over the world. Whenever the United States finds it inconvenient to get directly involved in something particularly unsavory, for example in supporting a regime or an organization whose reputation is particularly opprobrious, Israel comes in handy to do the job on the U.S. behalf. On the other hand, however, Israel wields tremendous influence within the United States, in my view, regardless of whether Israeli policies match U.S. interests or not. Although to some extent this fact can be attributed to the support Israel receives from many strains of Christian fundamentalism, there is no doubt in my mind that its primary reason is the role performed by the organized Jewish community in the United States in backing Israel and its policies unconditionally. The proportion of organized Jews within the body of U.S. Jewry can be roughly estimated as close to one half. This article will describe the newly emerging relations between the organized American Jews and the Rabin regime, and their impact on possible shifts of Israeli policies. Why should some American Jews be inclined to pro-Israeli chauvinism, while others be free of any such leanings? The first factor is the exclusivism of Jewish organizations. They admit no non-Jews into their ranks, and draw social and therefore also political power from that fact. Those who can be called “organized Jews” spend most of their after-work time in the company of other Jews, thus upholding Jewish exclusivism and, as a natural consequence, reinforcing their Jewish chauvinism. Amounting to no more than 3 percent of the U.S. population, it would be impolitic of them to express their real attitudes toward non-Jews in the United States openly. An exercise of their influence in support of Israel as the “Jewish state” compensates them for this constraint upon their freedom of expression. 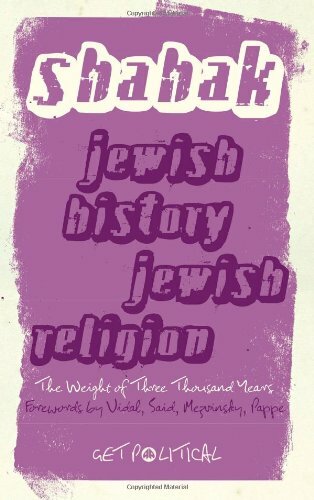 Almost every moderately sophisticated Israeli Jew knows the facts about Israeli Jewish society that are described in this book. These facts, however, are unknown to most interested Jews and non-Jews outside Israel who do not know Hebrew and thus cannot read most of what Israeli Jews write about themselves in Hebrew. These facts are rarely mentioned or are described inaccurately in the enormous media coverage of Israel in the United States and elsewhere. The major purpose of this book is to provide those persons who do not read Hebrew with more understanding of one important aspect of Israeli Jewish society. The story of the massacre committed by Baruch Goldstein in the Patriarchs’ Cave in Hebron on February 25, 1994, is well known. Goldstein entered the Muslim prayer hall and shot worshippers mostly in their backs, killing 29, including children, and wounding many more. In this chapter we shall not describe that massacre; rather we shall focus upon Goldstein’s career prior to the massacre and upon the reactions of the Israeli government and fundamentalist Jews to the massacre a short time after it occurred. This should provide a vivid illustration of Jewish fundamentalism. We shall extend our discussion of some details until the summer of 1998. One important background fact about Goldstein exemplifies the influence of Jewish fundamentalism in Israel: long before the massacre, Goldstein as an army physician repeatedly breached army discipline by refusing to treat Arabs, even those serving in the Israeli army. He was not punished, either while in active or reserve service, for his refusal because of intervention in his favor. Political commentators discussed this story in the Hebrew press even though not a single Israeli politician referred to it. This story deserves detailed exploration in our analysis of Jewish fundamentalism. The books are available in print as well as in kindle eBook format. They are also available on the kobo books store. Finally here are the only two videos of Shahak.